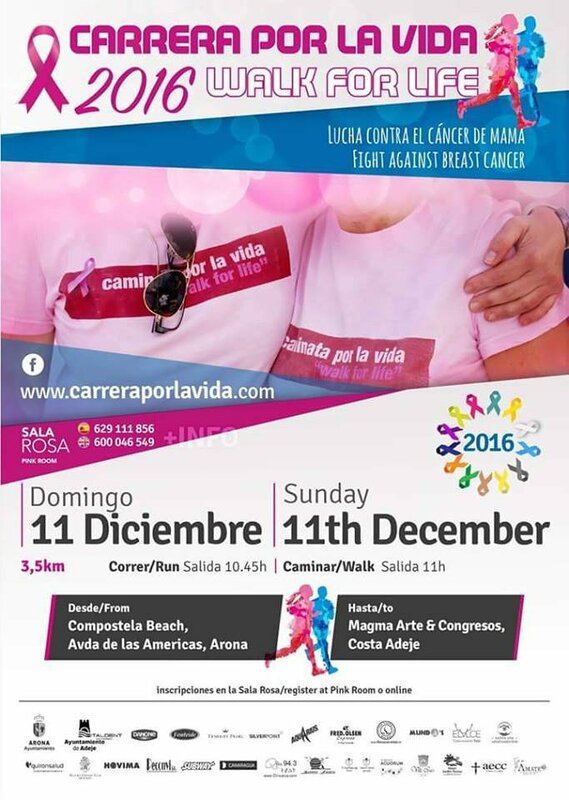 The 12th edition of the popular Walk for Life to raise money for cancer survivors and sufferers will this year be held on Sunday 11th December, expect a good crowd, friendly atmosphere and lots of activities, there's also a new race option for those who wish to run the distance. The 3.5km walk will start off at Compostela Beach in Playa de las Americas and finish at the Magma Centre. Walkers start at 11am and runners at 10.45 - but turn up early as there are lots of activities planned before the start.